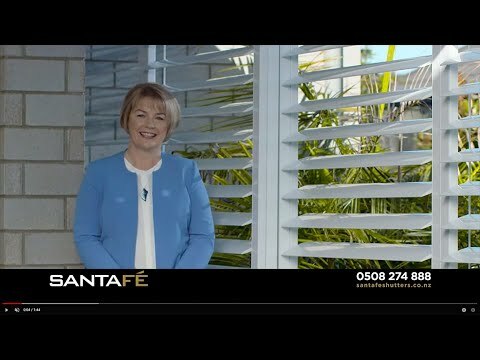 Santa Fe is your local Shutter & Blind experts servicing New Zealand nationwide. For inspiration please browse quality shutters and blinds in our online showroom, including interior and exterior shutters, insulating blinds, roller blinds and venetian blinds. Interior shutters add a touch of elegance to any home. They have been used in combination with venetian blinds in this stunning bathroom in a new home built by Finesse Residential. Used on your deck shutters will help you create an exterior room that will allow you to use your deck all year round. 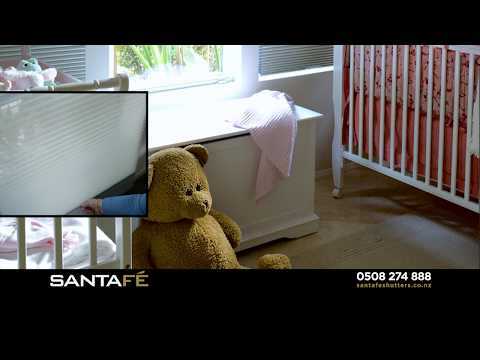 Santa Fe offer a full range of roller blinds, venetian blinds and insulating blinds. You can transform the look in your home today with these functional and cost effective window treaments. These new and exciting motorised exterior ventian blinds give you the ability to completely control the heat and airflow through your home or office. Our beautifully crafted shutters have a unique Invisible Tilt™ (hidden tiltbar) for blade opening and closing which has no visible tilt mechanism to impede your view and it also gives the tightest louvre closure of any shutter available. 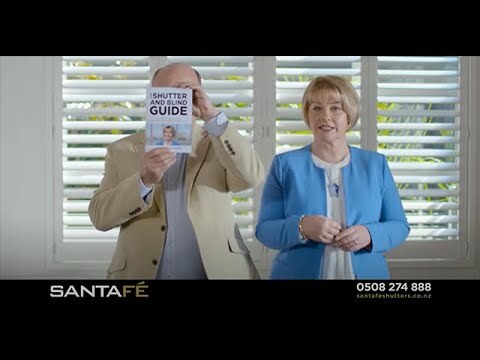 This revolutionary technology is unique to the Santa Fe shutter range. Motorisation has taken roller blinds into the era of sophistication and functionality. Enjoy the convenience of Roller Blinds that slide effortlessly up and down with the single touch of a button. You will have the added benefit of no cords for increased child safety. And better yet .... NO WIRING is required on some of the options. The unique battery operated and OneTouch motors do away with costly electrical hard wiring. Our experts can come to you anywhere in NZ for an in house design consultation with no obligations. Our quotes include construction and installation so you don’t get any nasty surprises. Don’t make the mistake of buying pre made blinds or shutters that might not fit your home. All our shutters & blinds are made to order so you get superior quality blinds that fit your home. Most installations only take 1/2 a day. All of our installers have an expert background in the shutter & blind industry so you get the peace of mind knowing that the shutters or blinds will be perfectly flush. We would like to express just how amazing our new Santa Fe shutters are and how much they have transformed our house into something from a magazine page! I just wanted to pass on my thanks to your company for such a great job. Paul was a delight to deal with, very professional. The shutters are the best thing about my renovation; my builder can’t stop looking at them and talking about how great they look.